Here’s what’s up in the world of TV for Wednesday, May 10. All times are Eastern. 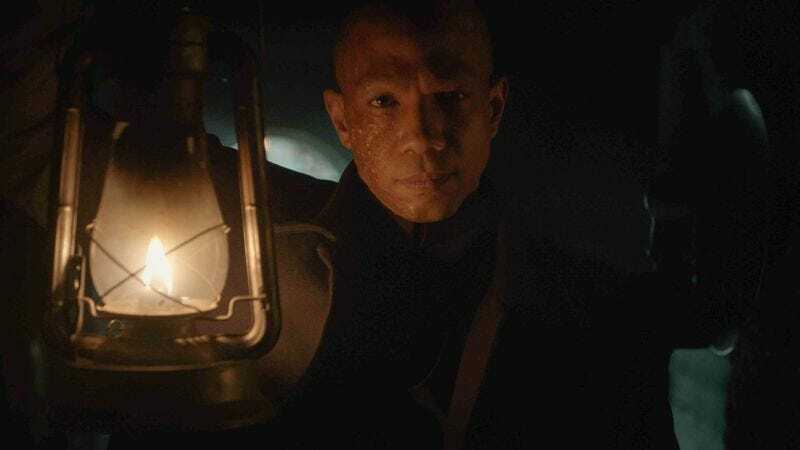 Underground (WGN America, 10 p.m.): It’s been a second season superior in almost every way to the first, which means Danette Chavez is sad to see things come to an end. But when we say “come to an end,” let’s sincerely hope that doesn’t include Rosalee and Noah, because that might be too much for us to take. Daniel losing his sight was already painful enough. Why not take the day off today and binge the entirety of season two, if you haven’t caught up yet? Black-ish (ABC, 9:31 p.m.): It’s also time to say goodbye to the fascinating if uneven third season of one of the most ambitious sitcoms on TV. After dropping Zoey off at college last episode in what was essentially a back-door pilot for the new spinoff starring Yara Shahidi, “Sparkles” gives us a proper season finale for the show—and we want a Pops appearance, damnit. How To Marry A Millionaire (TCM, 9 p.m.): If you’ve never seen How To Marry A Millionaire, what’s wrong with you? Lauren Bacall, Betty Grable, and Marilyn Monroe star as three models of modest means who pool their resources to rent a fancy Manhattan penthouse in hopes of landing unsuspecting millionaire husbands from the arrangement. All three are fantastic in it, the dialogue is still lively today, and even if Monroe’s anti-glasses shtick is a bit ridiculous, that’s part of the charm.